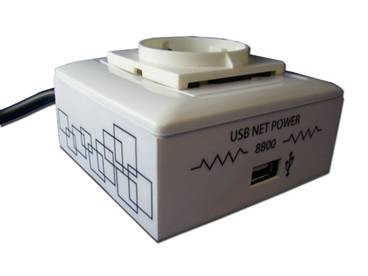 The USB Net Power is a economical device for network power control. With this device power control cannot be any easier. Simply plug in the device, run the sofware and now anyone can turn on turn off their devices via the PC. Also with a scheduler function included this device can easily become automated to turn on and turn off anything connected. Based off of Aviosys IP Power design this new 1 port economical solution allows flexibility of using this device for any situation and location. All you need is a PC and a power jack and you can control anything. Remote Local power control : Turn ON/OFF devices. Control through any other PC on Internet. Timer Scheduler : Preset the time to control power ON/OFF. User friendly, compact, and simply just plug play. 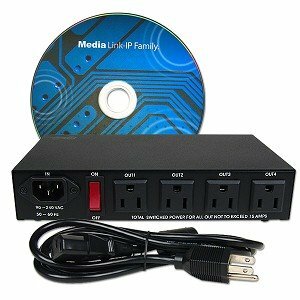 IP POWER 9258S is a web controller which can be easily used in the industry field. With the remote network control technology, user can control or query the power supply of equipment. User can do this in any computer connected to the internet or local area network, there is no special program needed,also there is no need to open the external case of the computer. Try to imagine that while traveling in a foreign country, you can control the power supply of your electric equipments, such as a computer, a server, a router, an entrance guard or security/surveillance system directly or use a time schedule comes with the IP POWER. You can remotely control the power switch with any computer connected to the network, which is not only convenient, but it also big saving on the manpower and time. Accessible with popular web browsers - IE , Google Chrome Firefox . Supports 'Zero Cross' toprotect relay to suppress noise generatedas loading current rises suddenly . Supports up to maximum current : 8Amp. SDK provided for own software development . Support TCP/IP, DDNS, DHCP, SNMP, SMTP.